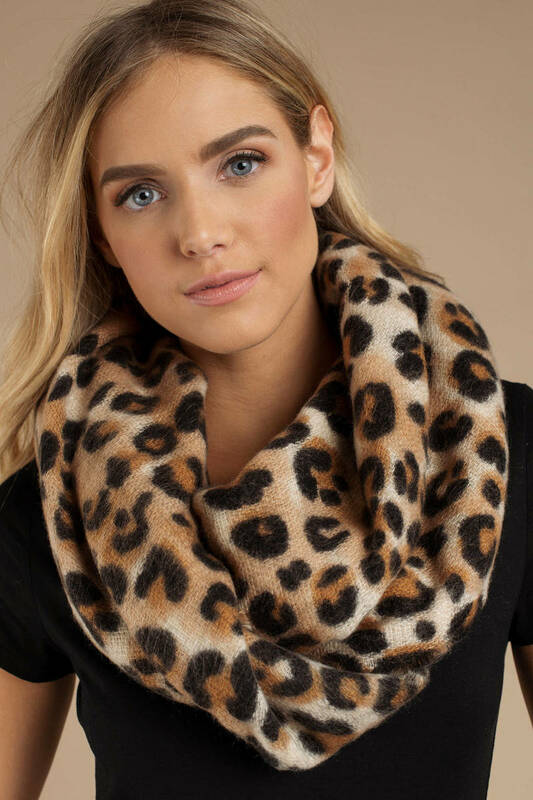 Check out Tobi's Wild Spirit Leopard Print Scarf Tap into your wild side this winter. The Wild Spirit Leopard Print Light Brown Scarf will add a beautiful finishing touch to all your winter 'fits. This knit acrylic scarf features gorgeous leopard print. Pair this animal print scarf with a moto jacket and skinny jeans for the trendiest winter look. Tap into your wild side this winter. The Wild Spirit Leopard Print Light Brown Scarf will add a beautiful finishing touch to all your winter 'fits. 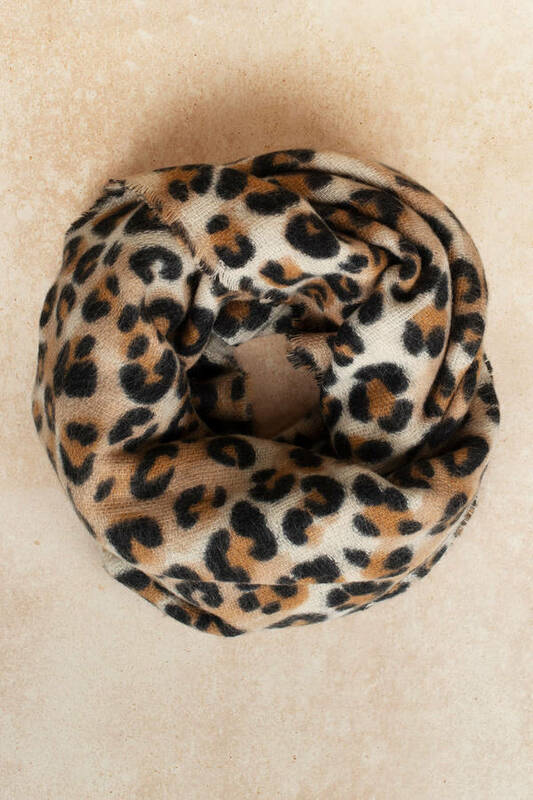 This knit acrylic scarf features gorgeous leopard print. Pair this animal print scarf with a moto jacket and skinny jeans for the trendiest winter look.